A great many articles have been published about Hong Kong’s largest websites. At the same time, reliable data about those bloggers who are currently rising to the top seems lacking. Therefore, this post explores the 50 hottest Hong Kong bloggers in 2016 across three major categories – Food, Travel and Lifestyle. Your site is missing? Give us a shout out at [email protected], and our editors will notify you once the page has been added. *Important: Numbers in front of individual blogs are not used to ‘rank’ the site, but are provided merely for the purpose of clarity. A branded blog of foodpanda delivery, foodpanda Magazine Hong Kong is the number one source for viral content in the food, travel and lifestyle sector. To further strengthen our relationship with bloggers, website owners, and social influencers, foodpanda Magazine is recruiting enthusiastic, talented writers to join the Curators Network scheme on a rolling basis. To apply, please provide the editorial team with your name, blog link, and writing samples at [email protected]. We aim to get back to you within 5 working days. For Freelance Content Writer opportunities with foodpanda Magazine, please see here. What we love: Professional writer and Hong Kong food blogger Janice knows how to keep her readers on page: Apart from gorgeous food imagery, well-written editorials and the occasional joke make E-Ting Food an absolute pleasure to explore on a rainy day. Why you should read it: Since 2004, Janice explores Hong Kong and the world through her eating adventures – get hungry now! What we love: Part of the Bloggerati family, food and lifestyle writer Yina knows Hong Kong like no other: From the best Restaurants to hot beauty trends and art workshops (! ), this blog’s as a diverse as its author. Why you should read it: Did we mention Yina owns a fashion boutique named “The Velvet Dolls“? What we love: One of Hong Kong’s more established Food and Travel blogs, Hungry Hong Kong is your number one source for information about local restaurants, staycation hotels, areas and even yacht booking. Why you should read it: Presented in an individual section, the site’s “Best Of” content is presented neatly to those lacking the energy and time to scroll down all the way. foodpanda likes! What we love: Dynamic duo Nicole and Eugene stun us with beautiful visuals – again and again. From the big, high-resolution slider through to food imagery taken specifically for each post, That Food Cray will have you coming back soon. Why you should read it: Nicole’s Instagram wall is among the best we’ve seen so far. Take a look below and be sure to stay within distance of your fridge. What we love: From recipes for Moroccan Lamp Cutlets to guides around the cyclades, readers are taken on a culinary trip around the world with Lovebites. Why you should read it: Jen advocates conscious eating, segmenting all of her recipes between “healthy” and “not so healthy”. Smart! What we love: Touted as the “go-to guide for city-girls”, Sassy Hong Kong offers a colorful palette of content to readers of all age groups. From high-profile restaurant reviews, dating tips and events guides, go here for your dose of Hong Kong life. Why you should read it: Stay on top of current events in your neighborhood using the handy guides published by Sassy on a running basis! What we love: Focused around food, travel and lifestyle news, Hong Kong-based blog Lolleroll is a gem on the local blogosphere. With sass and wit, Christy guides her readers through the city jungle in which she eats out as often as ten times in a single week. Why you should read it: All pictures are taken with the author’s own Lumix DMC-GM1 camera. What we love: Discovering Hong Kong one bite at a time, model, actress and artist Jessica takes restaurant dining seriously: Healthy and traditional, her food reviews are some of the most genuine we’ve seen so far. Why you should read it: Because this girl’s work reels are impressive! What we love: Fancy a homemade meal? Jun’s vast index of recipes takes you through the process step by step – and across 15 (!) cuisine types. Why you should read it: Stock up on Chinese foods, kitchen ware, and home decor in the Hong Kong Cookery Store! What we love: On their blog Homemade in Hong Kong, writer Jun and his wife Priscilla share fantastic Asian and Western dish recipes they affectionately title “Wesian”. Learn how to cook with expertly explanations on how to prepare everything starting from chicken, eggs and pasta through to sauces, dips and vegetables. Why you should read it: Apart from feeding their blog regularly, in June 2015 Jun and Priscilla became the proud owners of Amuse Restaurant in Shanghai. What we love: Looking at this blog we have a hard time getting angry. Instead, we’re busy being spoilt with easy-to-do recipes covering the whole array of Hong Kong- as well as Western cuisine. Cheddar Snow Brunch Cake, anyone? Why you should read it: Simple – because ‘How to use kitchen tools to make fresh pasta’ is a must read for every foodie. What we love: For those still looking to fulfill their News Years Resolutions (in August, really? ), Healthy Hong Kong offers comprehensive advice on affordable gyms, lighter restaurants and fashionable fitness gear. Why you should read it: Erica’s monthly rundown of health-centered events in Hong Kong is highly recommended. What we love: Hong Kong-based expat Fabian Brimfield loves food, and even more enjoys sharing them with his growing community of readers. Follow his experiences (many of them funnier than you would initially think!) with cooked food stalls, japanese comfort dishes, and daily life hurdles. Why you should read it: Reading Fabian, we cannot but help wondering when to visit Hong Kong again. What we love: The city’s most popular recipe blogger, Laura joined foodpanda Magazine as a curator – sharing her unique creations with an even wider audience. We love! Why you should read it: From sweet deserts to elegant dinner options, even the most discerning eater will get his way with My Little Hong Kong Kitchen. What we love: Focussing on high-end restaurants in Hong Kong and beyond, this site doesn’t skimp on mouth-watering dinner options for all tastes. Highly recommended: Live restaurant reviews in Tokyo! Why you should read it: For wine lovers, Katie’s ‘Rare and fine wines’ section is heaven on earth. What we love: Unfortunately no longer updated, Hungry Su provides an unprecedented view behind the scenes of Hong Kong’s most reputed restaurants. Why you should read it: In the mood for travel? Apart from Hong Kong Island, both New York and Seoul have been tried and tested for good food by Suzanne. What we love: Written entirely in Chinese, YFL Kelvin makes no fuss about his love for everything local. Curious? Visit the lifestyle and food writer on his personal Instagram account! Why you should read it: Save money by following Kelvin’s product reviews. Many contain a voucher code which he so generously shares with his fans. What we love: A list of Hong Kong’s hottest blogs could not possibly be complete without Sonalie and Tracy. As the founders as well as publishers of highest-quality healthy living guides, these girls sure know how to convince us of a balanced diet. Why you should read it: We appreciate the gang’s focus on gluten-free and vegan recipes to address all ranges of foodies. What we love: Evolving around living, eating and hiking, this blog’s biggest strength undoubtedly lies in its travel section. Explore Hong Kong island like a local with individual blog categories detailing everything you need to know about Kowloon, Hong Kong’s outer islands and the new territories. Why you should read it: PR Manager Ruth is an absolute delight to read. We cannot live without: Blue Balu’s Instagram wall, taking us through the best Hong Kong offers to both locals and tourists. What we love: Hailing from Australia, Arnold, his wife Jhoanna and their two children eat and travel their way throughout Hong Kong. As many of their travels are staycations rather than week-long road trips, we recommend this site to everyone longing for a refuge from city life. Why you should read it: A unique gem in the Hong Kong blogosphere, Eatscape’s take on travelling with young children is as much informative as it is inspiring. What we love: Travel blogger Sarah sure knows how to have a good time. From luxury hotel reviews in Taipei to the highs and lows of long-term travel, readers are invited into her world with humor, intelligence, and a real talent for writing. Why you should read it: An absolute must for every solo traveller wanting to know more about globetrotting. What we love: HK Travel Blog is the real deal for travellers longing for airfare discounts to and from Hong Kong Island. Check back regularly! Why you should read it: Book simple and fast by following the hyperlink to the airline that is embedded in each of Christopher’s posts. What we love: Miriam and her family are the undisputed kings and queens of travel writing. On dozens of pages, readers learn about hotels in Hong Kong, important sights, local areas, cuisine culture and much more. Absolutely worth your time! Why you should read it: Hong Kong’s an exciting place for kids – with this travel site, you’re guaranteed to not miss out on the fun. What we love: An expatriate couple living in Hong Kong, Roey and his “princess” use their site to share their travel adventures with the rest of the world. From Reykjavik Cathedral to the South West of Luang Prabang, no destination is too daring or far-flung for the couple. Why you should read it: Look for “Colouring the Waterfront” for a good read on Newport’s Bay area. What we love: Connecting candid restaurant reviews and recipes with insider information about Hong Kong’s best places, Brooklyn-based Kayiu offers the best of both worlds. Why you should read it: In need of inspiration for great street food? Many area guides promise light in the dark – a grumbling tummy included! What we love: As you’d expect from the editor of the American Women’s Association, Lindsay has got the perfect recipe for an entertain read: Confidence, smartness and a good dose of self-humor make this site one of the most worthwhile stops on our list. Why you should read it: Laughed today? No? Go read now! Why you should read it: The author’s aesthetic eye shows the strongest in her use of visuals. Look forward to sun-filled city views, breathtaking beaches and architectural wonders. What we love: Centered around family travel, Nicola’s blog covers travel planning, flight tips, and – most-importantly – a sheer endless list of destinations she herself visited. Why you should read it: We genuinely enjoyed seeing her review of tech gadgets made to make a traveller’s life easier. Which one is your favorite? What we love: Featured on National Geographic, Yahoo Travel, Trivago and Buzzfeed, Travels and Translation is a treasure trove for both current travellers as well as those planning a trip. Why you should read it: Affordable Hotels in Hong? Check. A Honeymoon in Asia? Check. Travel destinations for the winter blues? Check. What we love: Watch a fashionista travelling on Cindiddy – playing comfortably between lifestyle editorial and travel review, Cindy astonishes with her keen eye for detail and a fabulous selection of travel destinations. Why you should read it: Thanks to a multitude of articles, readers of Cindy get to experience Asian culture first hand. What we love: Lawyer turned serial expat Jennifer describes her experiences as American in Hong Kong. Packed with original, sometimes cynical insights into the life of a foreigner, this blog’s got enough content to keep us busy reading for days. Why you should read it: Having ticked of China, the Netherlands and the UK off her bucket list as working expat, Jennifer’s travel tips are hard to beat. What we love: Lawyers by day, Amanda and Carmen have an impressive travel list to show for themselves. You want to reserve some time for this one: Apart from 13 travel guides portraying some of the world’s most beautiful locations, food advice is provided to those who cannot live without a good bite far from home. 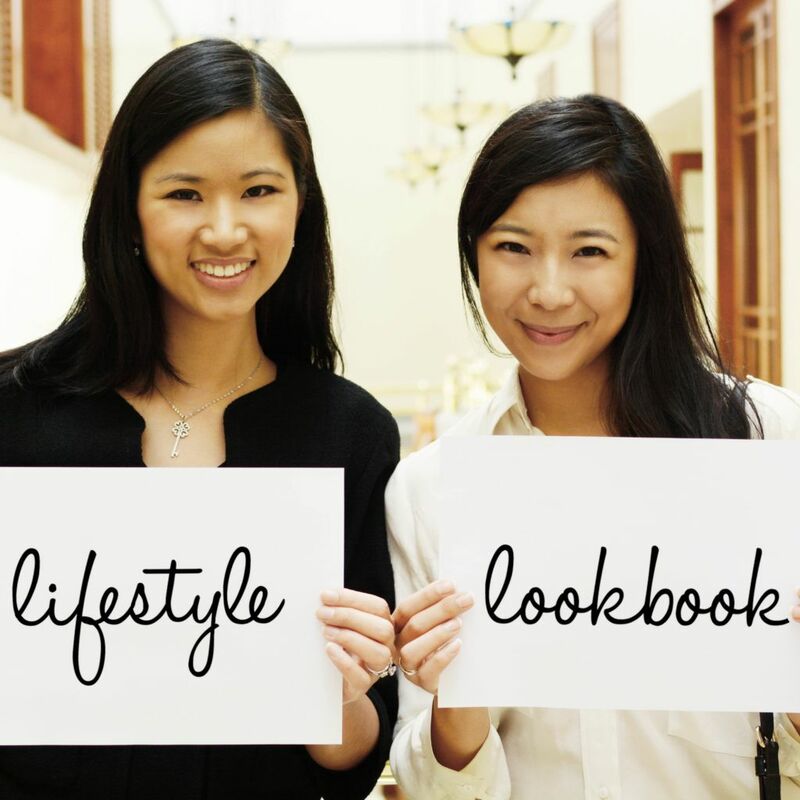 Why you should read it: As per its name, Lifestyle Lookbook’s name offers an astonishing array of luxury product reviews discussing everything from apparel to fashion accessories and jewellery. What we love: A whopping 38.000 Instagram followers cannot be wrong. Future lawyer and foodie par excellence Bonnie taunts us with not just delicious food reviews within and outside Hong Kong, but takes us with her on staycations. Why you should read it: Each of the author’s articles is curated using a canon eos 60D and written in a colloquial tone. We’re counting the days until Bonnie has fleshed out her Beauty section! What we love: Between founding and managing editorial agency, Editors’ Ink (alongside fellow blogger Rachel Read, who’s at number 36 on this list! ), and working as a freelance writer and editor for clients such as Liv Magazine, Flight Centre, Expat Living Magazine and Home Journal, busy mum-of-two Kate also finds time to write her own blog. A collection of articles and reviews describing family life in Hong Kong, Accidental Tai Tai serves as a springboard for kid-friendly restaurant visits and days out, family staycations and fun giveaways. Why you should read it: Read Kate’s city guide of Tai O tailored to a visit as a family – an absolute must-read! What we love: An architect by profession, JJ.’s writing focuses on the interplay between design and travel. How this looks like? Fascinating, surprising, and most definitely worth a read. Why you should read it: Bring your interior design to the next level with unique home accessories sourced from all corners of the world. What we love: Kicking off way back in 2010, Make up aficionado and dessert connoisseur Rachel’s love of both things are clear with her vibrant writing style and in-depth product reviews. Why you should read it: With over 100 nail polish reviews on her blog and a run down of the best dessert spots in Hong Kong, fans of beauty accessories or sweet things will want to take a look. What we love: Super stylish and with fascinating insights into the world of fashion and photography, V for Visala features stories on lifestyle, food, travel and more. Available in 2 languages (guess which!). Why you should read it: Check out her online shop for unique and elegant jewellery designs. What we love: As an enthusiastic world traveller, Christing C’s self-named blog follows her passions in life – travel, style, beauty, health and of course, her babies. Why you should read it: A very personal blog – Christing C gives us an engaging view of her favourite topics through her eyes. Be sure to look at her online shop clothes for original designs. What we love: Looking for the best fashion deals and discounts in HK? Look no further! Why you should read it: HK fashion geek searches for the best Hong Kong sales and brings them together on one blog. Convenient and fashionable it’s a win-win. What we love: Long running The D’Vine is curated by none other than the former fashion editor of the South china Morning Post, Divia Harilela. With that kind of pedigree, you can be confident that this blog knows its stuff. Why you should read it: With 3 knowledgeable contributors as well as Divia, this blog is the authority on fashion in Hong Kong. What we love: Unfortunately no longer updated, this blog nevertheless gives an interesting snapshot of popular topics in Hong Kong from 2010-3. Why you should read it: Josie’s background media marketing is clear as she gives us a run through of events, openings and business happenings in the city. What we love: Belle de Mo, or The beauty of Macau for those without French language skills, Sonia’s blog covering fashion, fitness and lifestyle is certainly a striking design worthy of its name. Why you should read it: Read the blog. You’ll find out! What we love: Hailing from Poland, “part-time blogger, full-time crazy cat lady” Paulina has moved to our island to be with the love of her life. Seemingly a match made in heaven: My Hong Kong Husband bursts at the seams with interesting anecdotes about expat life, Polish culture, dating and travel. Why you should read it: Fluent in the Cantonese language after just two years, Paulina shares the ins and outs of her learning the language. To read about her adventures, check the category “Personal“. What we love: Enjoy dreamy outfits and expert fashion advice from Mayo who, after years of blogging, has built an impressive online archive of her wardrobe. Vogue-worthy! Why you should read it: Browsing Mellow Mayo, our expert adored the “Ask Mayo” section. Anything but hesitant to engage with her readers, the fashionista makes it a point to answer all queries openly and on a regular basis. What we love: Writing a column for Elle Hong Kong and Popbee, Theresa knows what she’s talking about: Readers of Ezzentric get fabulous outfits, accessories recommendations and style advice all wrapped in a beautiful blog design highlighting the writer’s eye for aesthetics. Why you should read it: Theresa’s Trend Watch is one of a kind – start stocking up on fall coats now! What we love: For a successful hike, preparation is everything. Where to go, how to travel, what to see? Chensong’s here to help: In gorgeous imagery, the writer covers most of Hong Kond as well as it’s surrounding islands on foot. Why you should read it: Because his editorials outlining the top 10 hiking trails are guaranteed to leave even long-term Hong Kongers stunned about the nature surrounding them. What we love: The ultimate guide to fashion and beauty shopping in Hong Kong, Butterboom enjoys strong relationships with the city’s biggest influencers. For good reason: From store directories to latest tech developments, consider this site a hotbed of newsworthy information. Why you should read it: Definitely give the category Designer Profiles a browse: Introducing Hong Kong’s most original design newcomers, readers get an exclusive preview of the fashion superstars of tomorrow. What we love: This Hong Kong lifestyle blog chronicles the musings of student Kylene who, after growing up in Singapore, returned back to her country of origin. Expect a host of restaurant recommendations, exciting event reviews and travel advice. Why you should read it: A knack for everything digital, Kylene’s Instagram wall is one to beat: Get hungry watching the blogger discover Hong Kong’s most delicious dishes in one go! What we love: A self-described fashion fiend and media addict, writer Jessie takes us on a tour through Hong Kong’s beauty, fashion and style landscape. In a kind, often quirky tone, we learn about the do’s and don’t of city living. Highly recommended for those finding themselves ‘torn’ between the city’s entertainment offers. Why you should read it: Beyond else, this blog’s Youtube channel is an absolute must. Get make-up advice in inpsiring tutorials, all produced by the author herself. What we love: Hailing from the United Kingdom, Hailey and Queenie have chronicle their lives in the city that never sleeps. Centering around food and travel, Peanut Butter and Mussels proves that no expat journey is alike – and that photography is often the deciding factor between your average lifestyle website and a must-read blog. Thankfully, this couple’s shooting for the starts – literally. Why you should read it: Discover Lantau’s most beautiful beaches as Hailey and Queenie explore Hong Kong surrounding areas. wow, thank you for mentioning me!